Wellness for Life Radio focuses on optimal health, all-natural allergy relief, clinical nutrition, environmental and lifestyle medicine as well as holistic anti-aging and life extension techniques. 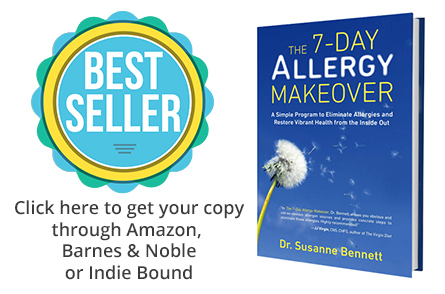 Dr. Susanne Bennett will share her twenty four years of clinical experience and expertise in all-natural therapies and remedies that can help common health issues such as allergies, gastrointestinal issues, chronic fatigue, autoimmune and endocrine disorders, insomnia, fat loss resistance and much more. Allergy, Sensitivity, or Intolerance: What's the Difference? You've Been Diagnosed with IBS: Now What? Dr. Stephen Wangen is the co-founder and Medical Director of the IBS Treatment Center. 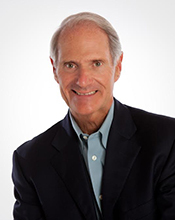 He is a licensed and board certified physician, the award winning author of two books on solving digestive disorders, and a nationally recognized speaker. He has been seen and heard on ABC, NBC, and Fox as well as public radio and television. He was recently named one of Seattle’s Top Doctors by Seattle Magazine. His passion for being a doctor and solving digestive problems comes from a lifelong obsession with optimizing health. Having suffered from IBS as a young man, Dr. Wangen dedicated his life to solving this complex problem. He now trains other doctors at the IBS Treatment Center in the new specialty of IBS medicine. Since 2005 the IBS Treatment Center, with locations in both Seattle and Los Angeles, has successfully helped thousands of patients from around the country and the world end their digestive problems. He can be followed on his blog, Facebook, and Twitter, all of which can be found at IBSTreatmentCenter.com. Ronald M. Bazar is a Harvard MBA, natural health enthusiast and author. Ron spends his time writing, researching, gardening, swimming, kayaking, hiking and playing Ultimate Frisbee. He is a hobby craftsman who uses fallen trees to fashion wooden utensils and other art pieces. His books include Sleep Secrets: How to Fall Asleep Fast, Beat Fatigue and Insomnia and Get a Great Night’s Sleep, Your Perfect Diet and The Prostate Health Diet. He lives on an island off the coast of British Columbia, Canada. On this episode: The Power of L-Carnitine! Can Yoga Solve Your Fertility Problems? Dr. Hirshfeld-Cytron is board certified in both Obstetrics and Gynecology and Reproductive Endocrinology and Infertility and has been practicing medicine since 2004. 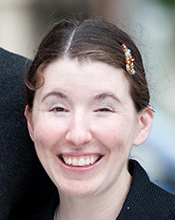 She completed her Obstetrics and Gynecology residency at University of Chicago, and then completed her three-year fellowship in Reproductive Endocrinology and Infertility at Northwestern. 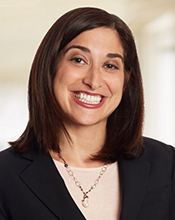 Dr. Hirshfeld-Cytron’s professional interests include fertility preservation, which involves preserving fertility for women facing diseases of which treatment could impair ovarian function, as well as women choosing to delay fertility for social or personal reasons. Dr. Hirshfeld-Cytron is well published in the areas of fertility preservation and cost analysis of fertility therapies. Dr. Hirshfeld-Cytron’s personal practice philosophy stems not only from her clinical expertise, but from her experience as a woman and a mother. She understands the importance of individualized, comprehensive infertility care. 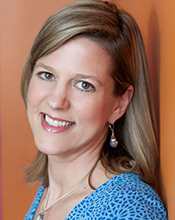 Beth Heller is the Co-Founder and Co-Director of Pulling Down the Moon, Inc., Integrative Care for Fertility (ICF ™). 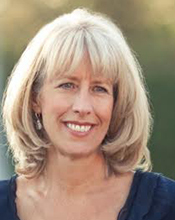 Beth earned her Master’s Degree in Human Nutrition and Dietetics in 1999 and prior to founding PDtM. She saw firsthand the powerful connection between mind and body during her work as a Nutrition Researcher for the Women’s Walking Program, a large National Institutes of Health-funded study that examined the impact of walking exercise on the physical, mental and spiritual well-being of menopausal women. Beth began practicing yoga in 1998 and soon thereafter, her periods, which had been absent for four years, returned without change to her diet, body composition or exercise levels. Beth is a member of the International Association of Yoga Therapists and the American Society for Reproductive Medicine. She teaches yoga in classes and in one-on-one instruction throughout the Chicago-land area and is a creator, co-director and teacher for Pulling Down the Moon, Yoga for Fertility. Formaldehyde toxicity may be the culprit! For nearly 30 years, Lisa Lynn has devoted her career to personal training, specializing in metabolic weight loss and performance nutrition. She is best known for her 13 years as Martha Stewart’s personal trainer who has said, “Lisa is the only trainer that made a difference.” Coupled with her vast experience in the field of fitness and nutrition she has earned four educational certificates from the International Sports and Sciences Association’s Professional Division including: Certified Fitness Trainer, Specialist in Performance Nutrition, Fitness Therapy and Elite Trainer. Lisa’s years of research in metabolic boosting and performance nutrition resulted in the development of her Leaner Lifestyle Series, specifically designed to promote healthy fat loss by boosting the most sluggish and stubborn metabolisms. Lisa is also a regular go-to nutrition and fitness expert on The Dr. Oz Show, appearing in two of his highest-rated episodes. 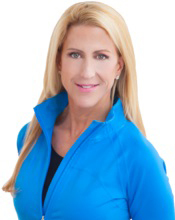 Major media outlets frequently call upon her for her expertise in fitness and nutrition. Lynn maintains a diverse portfolio of clientele including professional bodybuilders, models, actors, CEOs and real-world people throughout the country. In addition to The Dr. Oz Show, Lisa is a regular guest as nutrition and fitness expert on The Martha Stewart Show, FOX News, News 8 Connecticut and Sirius Radio where she has inspired and equipped millions of viewers to lose weight and maintain their results through healthier lifestyles. Lisa has also been prominently featured as an expert in the following publications: Dr. Oz Blog, Martha Stewart Living, Share Care, Iron Man, Fitness Magazine, Muscle Magazine, Muscle Media, Physique Forum, Performance Press and American Health. Lisa is a recognized best-selling author, publishing The Metabolism Solution in 2014, a comprehensive book that takes the reader on a step-by-step journey to a new, Leaner Lifestyle. This book teaches how to safely boost your metabolism while allowing you to lose weight. In 2015, she authored her first illustrated children’s book, The I Love My Body Book, addressing all of the issues kids face (adults too). This book is a must have for every household who wants to be physically and emotionally healthy. Parents say they love this book to as it makes these principals easy to do. Her most recent book, Win the Fight: Stomp Out Melanoma, was co-authored with Dr. Deepak Narayan. It is an all-encompassing book that covers everything from melanoma skin cancer risk factors and diagnosis procedures to living well after treatment. Raised in a household lacking healthy nutrition or lifestyles choices, Lisa struggled as a child with her weight and a lack of support. As a teen, she persevered to lose 40 pounds and has kept it off despite an under-active thyroid. Lisa’s work with body-building and fitness experts, including Dr. Fred Hatfield, helped her understand how specific combinations of nutrition and exercise can help others achieve the look they want—from simply slimming down, to gaining lean, ripped muscle. 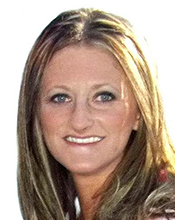 Lisa makes a unique personal connection with her clients and addresses a broad range of health and wellness needs. She is inspired to help people achieve optimal health with lifestyle solutions that are effective in the real world. Lisa lives in the greater NYC area. She owns and operates a performance training and nutrition facility where she practices her passion for personal training and consultation. When she’s not on set for TV, she can be found coaching her clients or spending time with her family. She enjoys supporting charitable activities including Education and Hope, which brings education to impoverished children and young adults in the western highlands of Guatemala; Hope Foundation which creates sustainable educational systems and Young Life, a global organization that provides adolescents with caring adult mentors. Natasha Williams struggled with diabetes for much of her life. Having never quite fit into either the “type-1” or “type-2” diagnosis, she recently learned via a genetic test that she is actually a sufferer of MODY (Maturity Onset Diabetes of the Young). Unfortunately, a fibromyalgia diagnosis was forthcoming as well. Through knowledge and specific health tools, Natasha has been able to overcome her diagnoses and live a full, happy life. Along with being an army wife, mother of two, and full-time student, Natasha has founded the Monterey Military Attic as well as the virtual assistant services company, Ghostly Pen. She is also a member and supporter of Military Mama Network. Dr. Carolyn Jasik is a board-certified clinical informatics physician with a background in technology operations and research. She provides primary care for high-risk teens, and serves as an Associate Professor at the University of California, San Francisco (UCSF). Prior to joining Mango Health, Carolyn was the Assistant Medical Director of Informatics at UCSF where she supervised the EHR roll-out. She has 15 years of research experience and has received grant funding from the National Institute of Health, National Science Foundation, and Agency for Healthcare Research and Quality. Her current research projects include two clinical trials on leveraging gamification solutions for adolescent risk behavior, and the use of a hospital patient portal to provide patient-centered care. Carolyn lives with her family in San Francisco and is happiest when she is in the outdoors. Oxidative Stress – The Root of All Disease? Nature's Secrets: Oxidative Stress - The Root of All Disease? What is it and how do we prevent it through lifestyle an supplements! 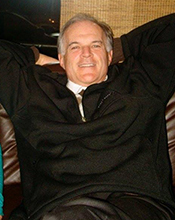 Dr. Peter Osborne is the clinical director of Origins Healthcare Center in Sugar Land, TX (just southwest of Houston). He is a doctor of chiropractic medicine and a Board Certified Clinical Nutritionist. He is an expert in orthomolecular and functional medicine. He has been practicing since 2001. His clinical focus is the holistic natural treatment of chronic degenerative diseases with a primary focus on gluten sensitivity and food allergies. Dr. Osborne has helped thousands of patients recover from mysterious medical illnesses. Doctor Osborne received his doctorate from Texas Chiropractic College. He has held faculty teaching positions at Texas Women’s University and HCC’s nursing program teaching Neurophysiology, Nutrition, Biology, and Anatomy & Physiology. He lectures nationally to doctors on the topics of gluten sensitivity/intolerance, celiac disease, drug induced nutritional deficiencies, and many other nutritionally related topics. He is the co-founder of Nutra-MD, a nutritional supplement product line that addresses nutrient deficiencies caused by commonly prescribed medications. He is the host for the radio program Alternatives for Health & Wellness and the Executive Secretary for the American Clinical Board of Nutrition. Dr. Osborne founded Gluten Free Society in 2010 to help educate patients and physicians on the far reaching effects of gluten sensitivity. 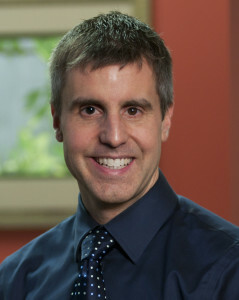 He is the author of Glutenology, a series of books designed to help educate the world about gluten. 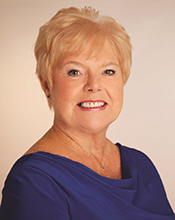 Lynda McGuirk is an entrepreneur and owner of McGuirk Management Small Business Organization Service. In January 2003, McGuirk spent six weeks in a coma, as a result of an automobile accident. That was the easy part. When she woke up, the real work began and she faced a long rehabilitation program. In 2010 she completed her Master’s Degree in Hospitality Administration from the University of Massachusetts, Amherst. Today, McGuirk is a successful entrepreneur and author of the new book, Survive and Thrive: My Traumatic Brain Injury Survival Guide. Like millions of traumatic brain injury (TBI) survivors, McGuirk relearned how to live and was able to re-channel her life and business goals into a new, satisfying lifestyle. Her dream is to open a retreat in Belize for TBI survivors and their families. It’s Cold and Flu Season! Be Prepared, Naturally! William Sears, M.D., is one of America’s most trusted physicians. He has served as clinical associate professor at the University of Toronto, University of Southern California, University of Southern California School of Medicine, and University of California, Irvine. Together with his wife, Martha Sears, RN, Dr. Sears has written 42 books on parenting, family health, and healthy aging. His www.AskDrSears.com website is one of the most popular health and parenting sites. His contribution to family health was feature on the cover of TIME Magazine in May 2012. He practices and lives with his family in Southern California. Her new book, The Caregiving Trap: Solutions for Life’s Unexpected Changes, will be available on October 6, 2015 through all major bookstores as well as on PamelaDWilson.com. Dr. Raphael Kellman, MD, author of The Microbiome Diet, is a pioneer in functional medicine who has a holistic and visionary approach to healing. In 17 years of practice, he has treated more than 40,000 patients, many of whom have come to him from all over the world and after suffering without help for years. 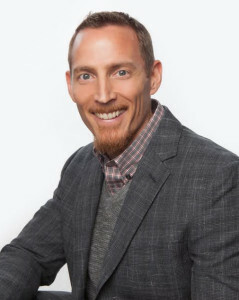 Dr. Kellman is driven by his desire to alleviate suffering and to help people regain health based on a new vision and understanding of healing and the causes of disease. As a doctor trained in internal medicine at the Albert Einstein College of Medicine in New York, Dr. Kellman uses the latest drugs and technology to treat specific diseases but his approach to medicine is patient- centered and holistic. He focuses on the complex interaction of systems — not just the disease but on you as a whole person who is greater than the sum of your parts. Dr. Kellman’s treatments are informed by his background in the philosophy of science, and administered with compassion and kindness. Drawing on the latest research, he addresses your biochemistry, metabolism, hormones, genetics, environment, emotions, and life circumstances to help you achieve optimal health. 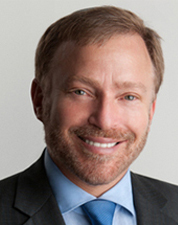 Dr. Kellman attended received post-graduate training in internal medicine at Beth Israel Hospital, Lenox Hill Hospital, and St. John’s Hospital, and conducted Cancer research at Sloan Kettering Memorial Hospital. He serves as Holistic Medical Director for Health Check in Bay Ridge, and Queens, and Medical Director for the New York Center for Addiction Treatment Services. He is also the author of three books included, The Microbiome Diet, Gut Reactions, and Matrix Healing. Dr. Liza Leal knows first-hand the devastation of chronic pain and that restoration IS possible. While in medical school she developed rheumatoid arthritis, causing her to be wheelchair bound, potentially derailing her medical career. 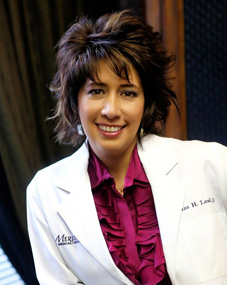 Dr. Leal inspires while educating and motivating her patients and audiences to succeed in living as a thriver and not a survivor. On this episode, an encore: Can You Relieve Anxiety Naturally? 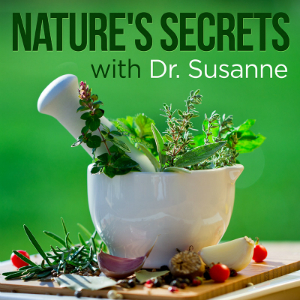 Nature's Secrets: Can You Relieve Anxiety Naturally? 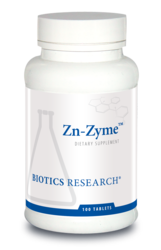 After spending time in research and practice of “chemical-based” medicine and not happy with the possibilities that could be achieved by single chemical pharmaceuticals in health restoration, Dr. Nyjon Eccles decided to expand and develop his longstanding interest in Nutritional Medicine. This journey took him to the Czech Republic, Spain, India and the USA, where he studied with pioneering doctors who’s broader approach, over and above relief of symptoms, was achieving dramatic restoration of health using nutrients, phytochemicals and electromagnetic medicine. His observation of cancer remissions led him to develop this area as a special interest. 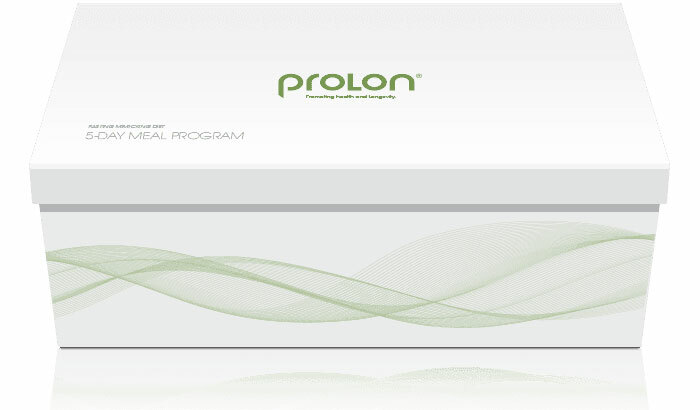 Over the years he has developed specific and powerful nutritional programs for restoration of cellular health. These therapies he offers formerly at the Chiron Clinic, which he set up in 1998 and now at The Natural Doctor since 2010. He is pioneering the introduction to the UK of Medical Infrared Thermal Imaging for very early non-invasive detection of breast cancer and screening of musculoskeletal disorders. He states, “Earlier detection in younger women by Thermography gives us an unprecedented opportunity to stem the tide of increasing breast cancer occurrence. Thermal abnormalities indicative of increased risk can then be reversed by the correct attention to lifestyle, nutrition and lymph detoxification.” In 2014 he has now co-developed a computer-assisted Breast Thermal Image system, which is to be franchised and is Patent-pending. He is one of the leading Integrated Medicine Physicians in the UK and has a reputation for his practice of evidence-based Integrated Medicine. He is actively involved in conducting controlled Clinical trials to validate a variety of nutritional and magnetic therapies. His research and reviews appear regularly in peer-reviewed Medical journals. He is also an expert on Stress assessment by Heart Rate Variability measurements, having written extensively on the subject and has helped to develop bespoke corporate programs for objective stress measurement. 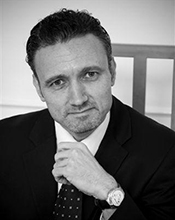 He has further expertise in Magnetic Medicine and has pioneered research in this area in the UK over the last 10 years. His research led to the first ever magnetic product being given Drug Tariff approval in March 2006. His more recent work with one of these magnetic products, LadyCare, that significantly relieves menopause symptoms has led to discovery of a novel mechanism of action; a world patent on this discovery is also pending. In an attempt to help people to alter their disease risks, he lectures regularly on topics such as “Natural Cancer support,” “Food as Medicine,” “Breast Health and Nutrition,” “Prostate Health and Nutrition,” “Clinical Thermography” and “Metabolic Health.” He is in great demand as a public speaker, increasingly being asked to appear on radio and TV for his expert opinion on Complementary and Natural Medicine. From his research work with nutrients in cancer he has discovered a range of them that make normal cells perform better and these formulas have a unique application in Anti-Ageing Medicine. His work in the cancer field has led him to help set up a charity called CHART (Cancer Healing And Research Trust www.naturalcancerhealing.org ) to help guide people to which natural remedies really do seem to work as well as helping to create access to these. From his work around breast thermal imaging and early breast cancer detection, he became more involved in helping to provide natural solutions for women’s health issues which include Natural Menopause relief (as above), Bio-identical hormones and Natural Anti-Ageing cosmetic solutions. He has developed novel Well man and Well woman programs based on earlier detection of imbalances using blood, urine and saliva tests in conjunction with cutting edge assessments of autonomic nervous system imbalance (using HRV), and early heart electrical abnormalities. More recently, he has developed a unique natural regime for fat loss; the basis of a new collaborative program with Personal Trainers. He is acknowledged in Who’s Who in the World, 2010, 2011, 2012 and Who’s Who in Medicine & Healthcare, 2011-2012 for outstanding contributions in the Medical field. He is also listed in Great Minds of the 21st Century, limited to 1,000 entries, 5th Edition. Last year, 2011, he received a Medical Science Award of Excellence for Natural Medicine Research. 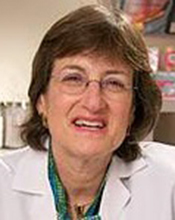 Dr. Mary Jane Minkin attended Brown University and then Yale University School of Medicine where she also did her residency training in obstetrics and gynecology. Dr. Minkin is the head of Yale University’s OBGYN Department. Dr. Minkin’s expertise is in menopause: emotional and hormonal transitions, causing a need for changes with nutrition, exercise, and intimacy. Dr. Minkin addresses what’s normal/what treatment options are best, and explains the risks and what’s new on the horizon. Dr. Michael Finkelstein, The Slow Medicine Doctor®, is the author of Slow Medicine: Hope and Healing for Chronic Illness, endorsed by Andrew Weil, MD and Mehmet Oz, MD. Dr. Finkelstein is the founder and medical director of SunRaven: The Home of Slow Medicine; he is an adjunct professor at SUNY Binghamton; he has been featured in top media outlets including the New York Times and CNN; he has presented at leading venues including GE Corporation and Omega Institute; and he blogs on the topic of Slow Medicine for he Huffington Post. 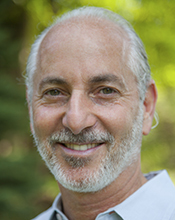 Dr. Finkelstein was trained at premier institutes for both conventional and integrative medicine, and he is the recipient of numerous distinctions. Drawing from his diverse medical expertise, Dr. Finkelstein offers both a micro and macro point of view on today’s healthcare needs and challenges, and he provides a tried and-true solution for healing individual patients and the medical system as a whole: Slow Medicine. Kim Schuette, CN, Certified GAPS Practitioner, has been in private practice in the field of nutrition since 1999, teaching the importance of real food for optimal health. In 2002, she established Biodynamic Wellness, where she and her staff specialize in developing customized nutrition plans based on patients’ needs. They offer a variety of seminars on topics such as weight loss, whole food diets, children’s health, and women’s health. Schuette is a leader in her field, and was named “Best Alternative Health Practitioner of 2013” by Ranch & Coast Magazine in their annual “Best of San Diego” edition in March 2013. Additionally, she serves on the Board of Directors for the Weston A. Price Foundation (WAPF). 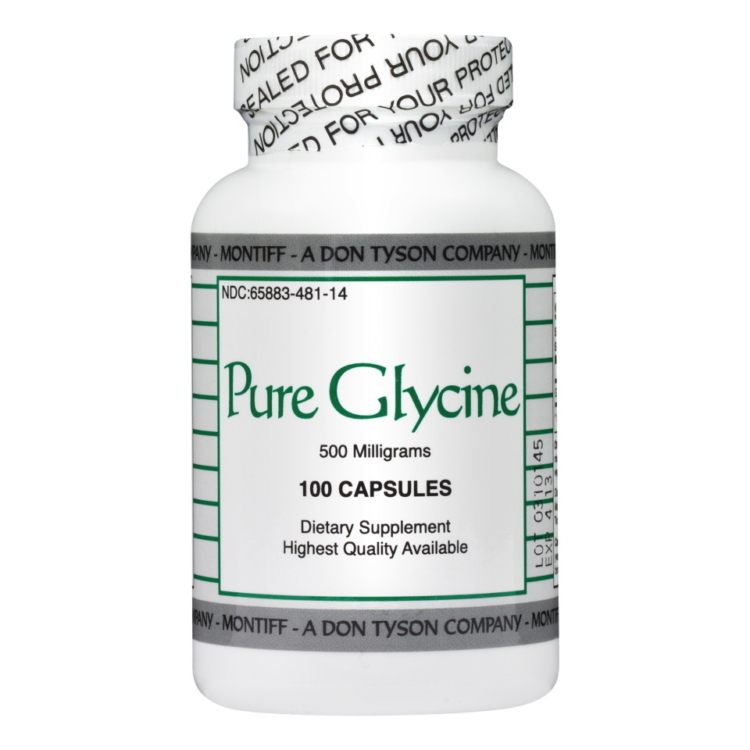 What is Glutathione and why are so many of us deficient? What can you do to boost your Glutathione levels naturally? 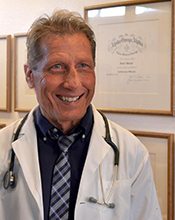 Robert L. Buckingham, MD, FACP, has been a practicing physician in Ojai, California, for 36 years. He received his medical degree from the University of Illinois College of Medicine, where he graduated as a James Scholar with an MD and a master’s degree in pharmacology. He firmly believes that all should be informed about health, longevity and anti-aging. Dr. Buckingham believes the key to reversing the aging process lies within a group of cells that line the body’s blood vessels, called the vascular endothelium. His new book, Hazing Aging explores how maintaining the health of these cells through basic lifestyle changes can reverse effects of aging and drastically prolong lifespans. Dr. David Minkoff graduated from the University of Wisconsin Medical School in 1974 and was elected to the “Phi Beta Kappa” of medical schools, the prestigious Alpha Omega Alpha Honors Medical Fraternity for very high academic achievement. He then worked for more than 20 years in the area of traditional medicine before making the switch to alternative medicine when he and his wife, Sue, founded LifeWorks Wellness Center in Clearwater, FL. LifeWorks is now one of this country’s foremost alternative health clinics, offering a wide range of cutting-edge protocols. 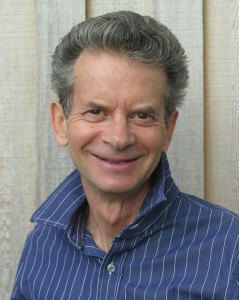 In 2000, Dr. Minkoff founded BodyHealth, a nutrition company which offers a unique range of dietary supplements to the public and practitioners. Dr. Minkoff is passionate about fitness and is a 41-time Ironman finisher, including eight appearances at the Ironman World Championships in Hawaii. He also writes two weekly newsletters, The Optimum Health Report and the BodyHealth Fitness Newsletter. Nature's Secrets: Are You Getting Enough Potassium? Symptoms of Potassium Deficiency and how to prevent it! Benefits and Sources of Potassium. As a Stress Management Consultant, Stress Counsellor, Life Coach and Therapist, Mary worked in Mental Health for almost 30 years helping patients and clients to overcome their stress, anxiety and depression. Embracing therapies such as Pranayama Yoga, EFT (Emotional Freedom Technique), CBT (Cognitive Behavioural Therapy), NLP (Neuro-Linguistic Programming) and Solution Focused Therapy she worked both on a one-to-one basis as well as delivering courses, workshops and seminars. She retired in 2010 and devoted her time to writing Get Your Life Back and her Breathe & Relax CD. Born in Lancashire near Liverpool she now lives in Solihull in the UK with her husband. She enjoys spending time with her family, reading and holidaying across the world. Mary Heath’s book is designed and structured in such a way that it leads the reader through a selection of therapies, skills and techniques from an eclectic mix of disciplines. Mary has based her unique and ground breaking book on her successes throughout her career. Writing, designing and delivering many hundreds of classes, courses and workshops for countless patients and clients suffering the ill effects of stress, anxiety and depression Mary discovered what were the most effective and beneficial therapies and techniques to bring about a full recovery. When working on a one-to-one basis Mary also found that just one technique or skill or therapy alone was not as effective as combining several different coping strategies chosen and tailored to suit individual needs. Here, in her innovative book, the reader will discover what works best for them with a pick and mix approach. The contents are varied and wide ranging. One day you will be learning how to control anxiety, the next discovering a new method of relaxation, and on another drawing up an effective plan to organize your day. Get Your Life Back is meant to be read one day at a time, putting into practice the advice for that particular day. However, readers can obviously take as much time as they like, working through the course at their own pace and according to their own particular needs and circumstances. 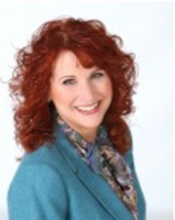 A dynamic and entertaining speaker, Dr. Bluestein has worked with thousands of educators, counselors, healthcare professionals, parents, childcare workers, and other community members world-wide. She has appeared internationally as a speaker and talk-show guest, including several appearances as a guest expert on CNN, National Public Radio and The Oprah Winfrey Show. 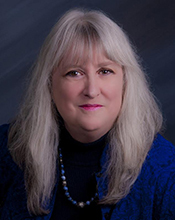 Dr. Jane Bluestein, Speaker, Presenter, Writer, Blogger, Podcaster, and Lifelong EducatorDr. Bluestein specializes in programs and resources geared to provide practical and meaningful information, training and hope in areas related to relationship building, effective instruction and guidance, and personal development. Much of her work focuses on interactions between adults and children, especially children at risk. Her down-to-earth speaking style, practicality, sense of humor, and numerous stories and examples make her ideas clear and accessible to her audiences. Jane is an award-winning author whose books include Creating Emotionally Safe Schools; High School’s Not Forever; 21st Century Discipline; Being a Successful Teacher; Parents in a Pressure Cooker; Parents, Teens, & Boundaries; The Parent’s Little Book of Lists: Do’s and Don’ts of Effective Parenting; Mentors, Masters, and Mrs. McGregor: Stories of Teachers Making a Difference; and Magic, Miracles & Synchronicity : A Journal of Gratitude and Awareness. Dr. Bluestein’s latest books include The Win-Win Classroom, Becoming a Win-Win Teacher, and Managing 21st Century Classrooms. Formerly a classroom teacher (in inner-city Pittsburgh, PA), crisis-intervention counselor, teacher training program coordinator, and volunteer with high-risk teens at a local Day Treatment Program, Dr. Bluestein currently heads Instructional Support Services, Inc., a consulting and resource firm in Albuquerque, New Mexico. Tired of being Tired? 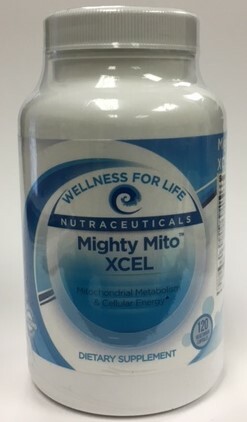 Mighty Mito to the Rescue! The importance of mitochondrial health for boundless energy, optimal vitality and a pain-free and trim body!